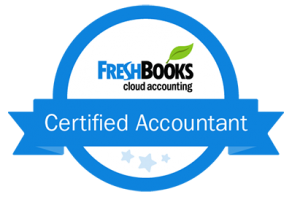 Most small business owners who use accounting software quickly master the basics. They automate processes like invoicing and payroll, track expenses and view real time financial reports to manage cash flow and make better business decisions. But what many business owners don’t take advantage of are key insights that can improve customer care and increase sales. Here are some smart ways you can use your accounting software to help boost your bottom line. Most accounting software can highlight your biggest spenders and buying trends. How would knowing who your best customers are, your biggest selling products and how much each customer spends impact your marketing decisions – not to mention help you fine tune your sales strategies? By the same token, when you know which products and services aren’t selling, you’ll be able to make more profitable purchasing decisions. Most accounting software offers inventory tracking to help you decide what to keep on the shelves, which products to sell off at a discount and which items to phase out altogether. Accounting software can offer peace of mind when you know your financials are accurate and up to date. But another major advantage of an online accounting solution is how much time you’ll save by automating processes like invoicing and payroll – giving you more time to follow up with clients and seek out new prospects. We all know how important the personal touch is when it comes to sales. So why not use your accounting software customer data to help remember your customers’ birthdays or thank them when they’ve hit a milestone – spending more than $5,000 on your products, for example? With enhanced customer data at your fingertips, your business will earn a reputation for personalized service. You’ll be able to respond quickly when a customer calls with a question about a product or an order. And you’ll be able to suggest substitutions and offer valuable add-ons based on their buying preferences, so upselling becomes a snap. You may be surprised at the many ways accounting software can help you better serve your customers or improve your sales strategies when you look at its true potential. Now that you have a handful of ideas for making better use of your accounting software, what will you do differently to enhance customer care, improve your profits and continue to grow your business?